In IMAGINATION EXPRESS, campers (ages 6-9) will play theatre games that explore storytelling, character, voice, and movement. In JR. 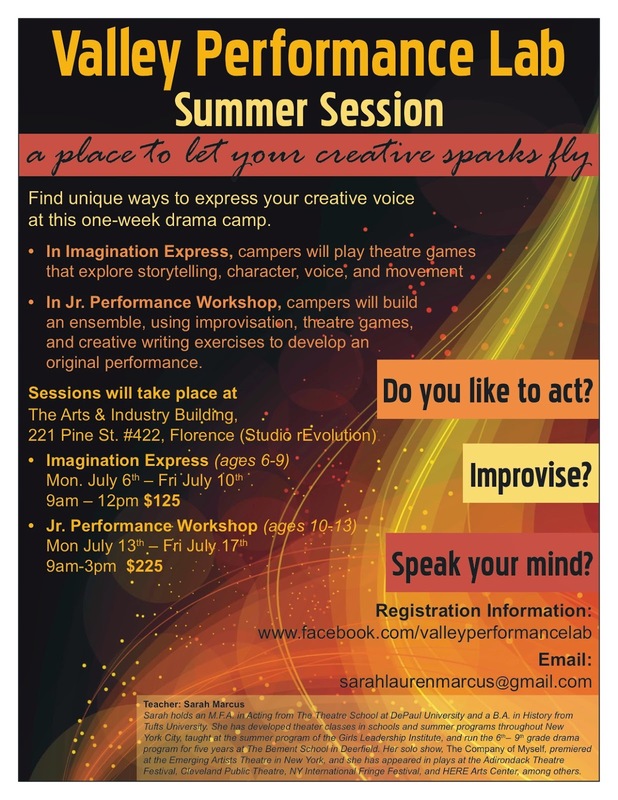 PERFORMANCE WORKSHOP, campers (ages 10-13) will build an ensemble, using improvisation, theatre games, and creative writing exercises to develop an original performance.